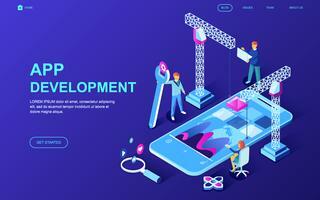 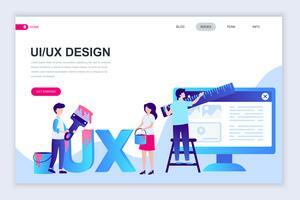 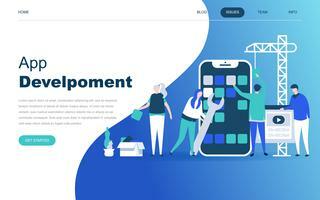 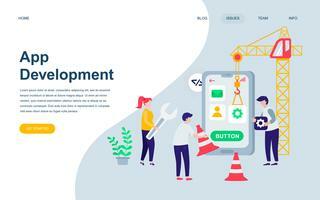 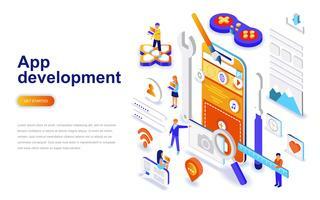 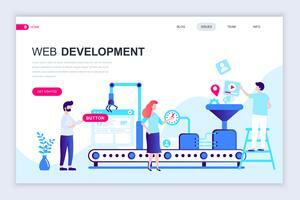 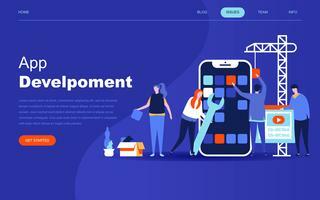 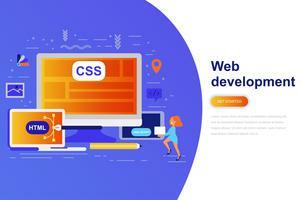 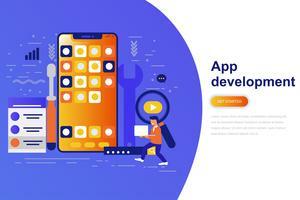 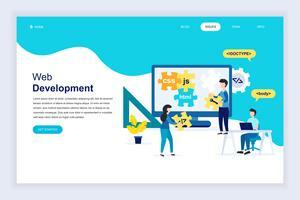 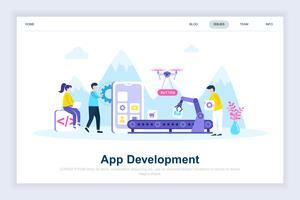 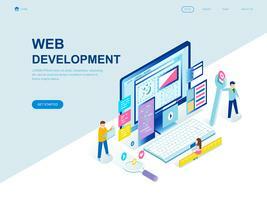 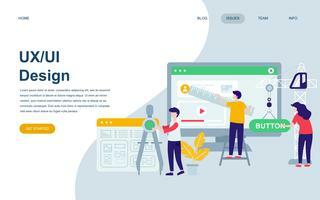 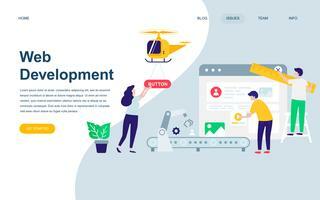 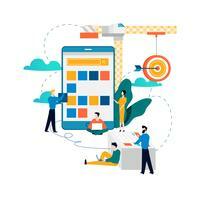 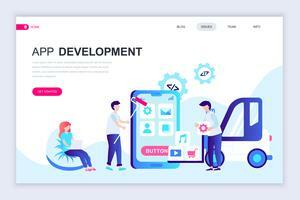 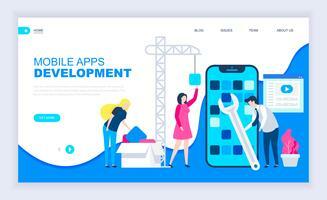 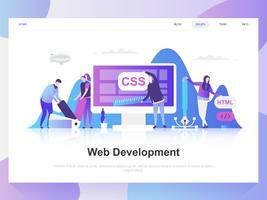 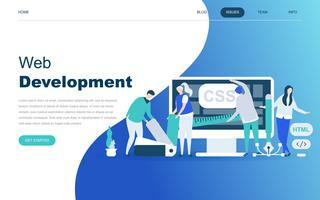 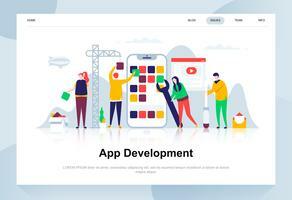 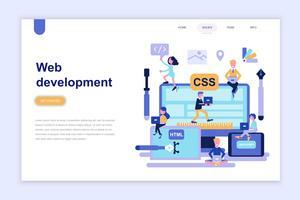 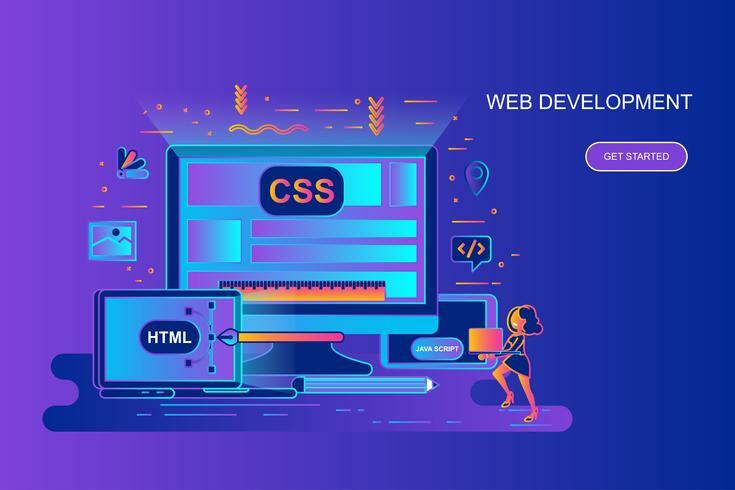 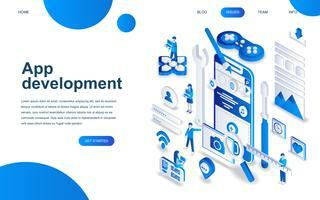 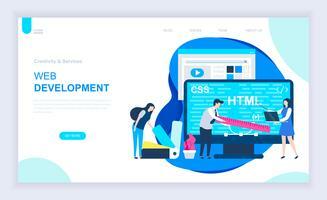 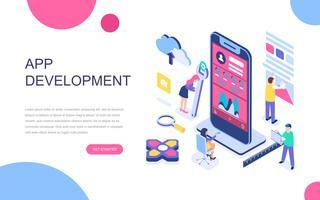 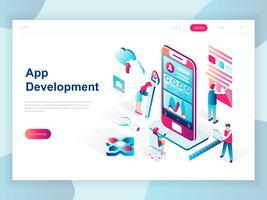 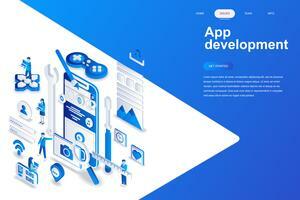 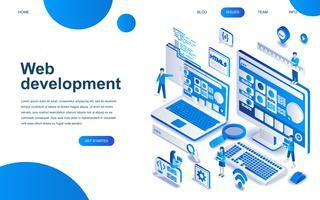 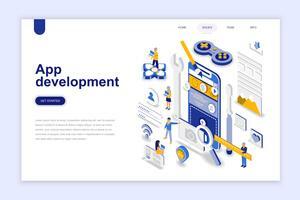 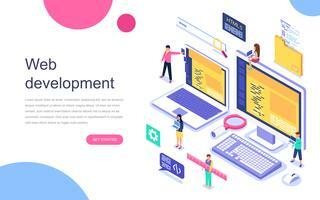 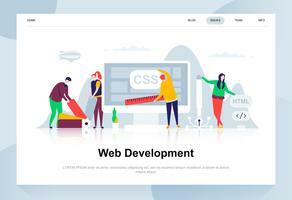 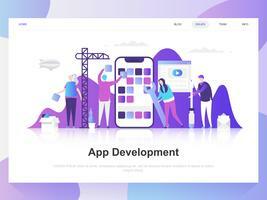 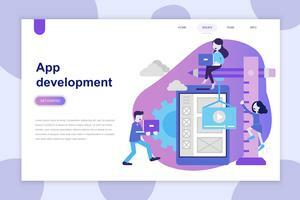 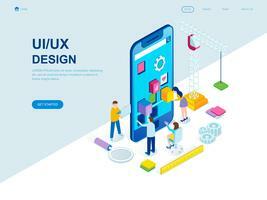 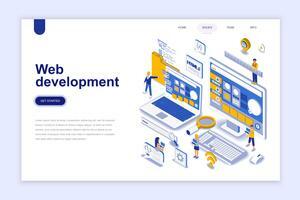 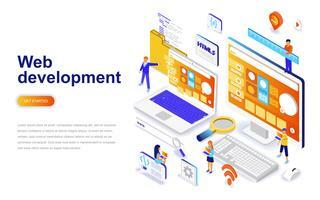 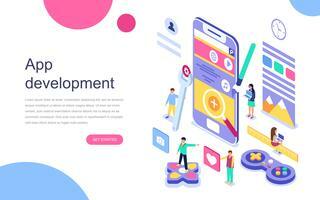 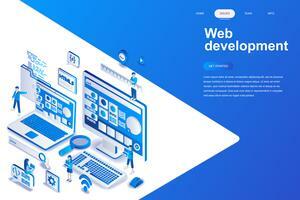 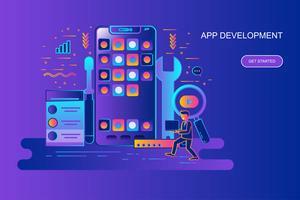 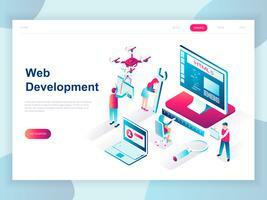 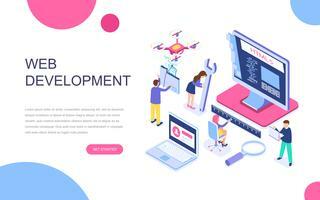 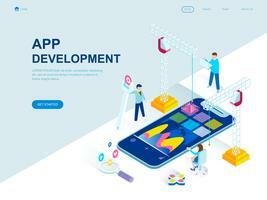 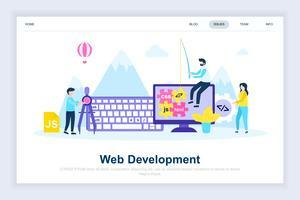 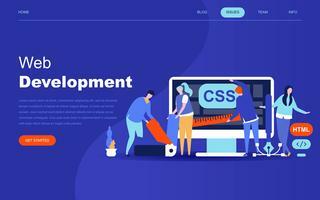 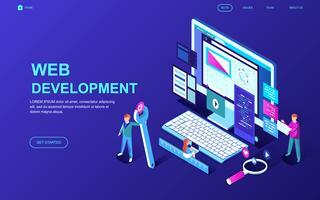 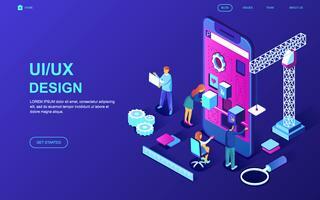 Modern gradient flat line concept web banner of web development with decorated small people character. 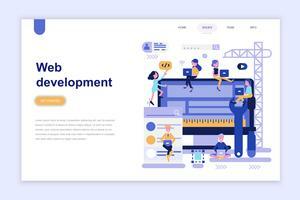 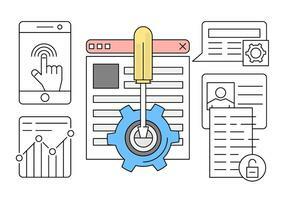 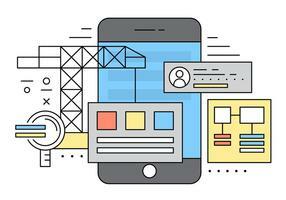 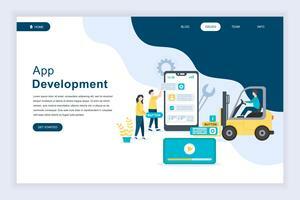 Landing page template. 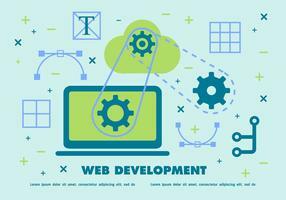 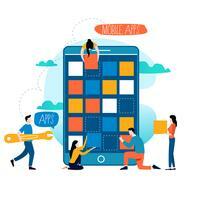 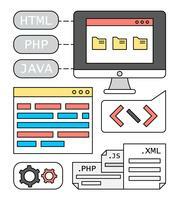 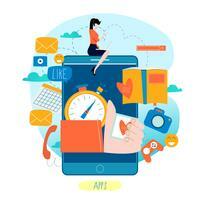 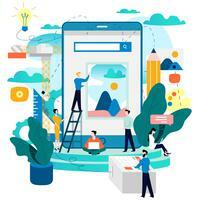 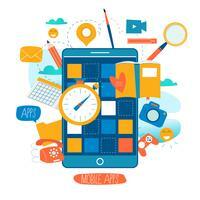 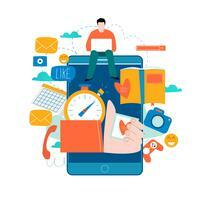 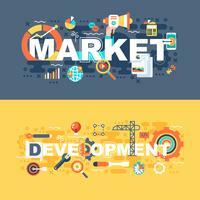 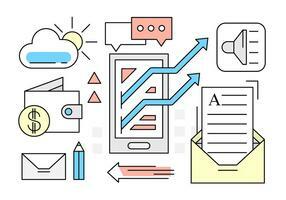 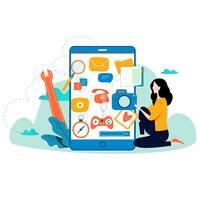 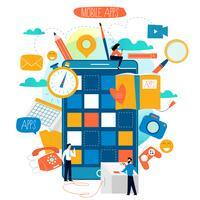 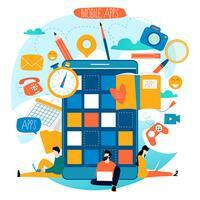 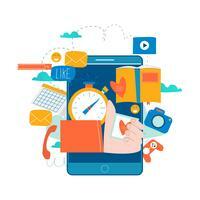 Conceptual vector illustration for web and graphic design, marketing.